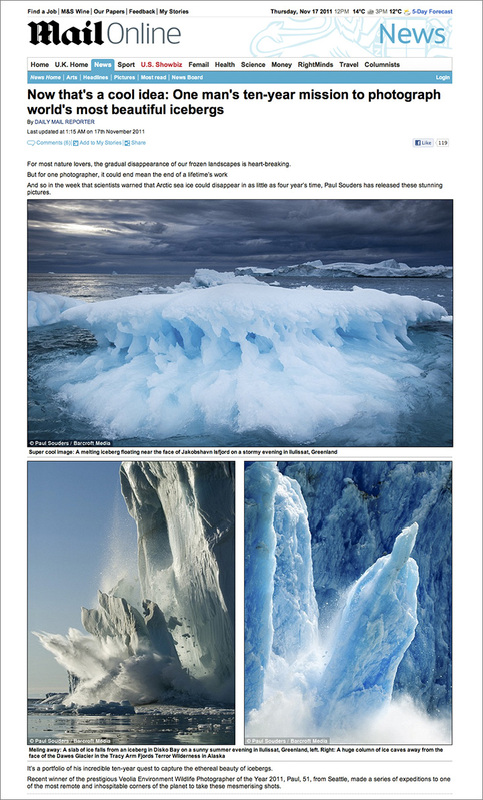 London’s Daily Mail newspaper has just published an online gallery of iceberg images. This entry was posted on Friday, November 18th, 2011 at 6:00 am. It is filed under News and tagged with Arctic, Climate Change, Icebergs, Landscapes, Published Work, Wilderness. You can follow any responses to this entry through the RSS 2.0 feed.